1- The International Quranic Center (IQC) denounces the terrorist attacks that took place in Paris, the capital city of Lights and Enlightenment. 2- France occupies a very high stature in Egyptians collective memory and a very special position in the route of Egypt toward Enlightenment, From Napoleon's Expedition in Egypt with its scientific and cultural impact, the famous seminal tome titled""tledl ous tome c and cultueral e and a very special position in the route of Egypt "Description de L'Égypte", Tahtawi's book titled ""L'Or de Paris", Champollion's decoding of hieroglyphics of the Rosetta Stone, Antoine Barthélémy Clot (a.k.a. Clot Bey) and his book on Egypt titled "Aperçu général sur l'Égypte ", and to Gaston Maspero, the famous Egyptologist, whose character has been dramatized in the Egyptian Cinema in the movie titled "La Momie" directed by the late Director Shadi Abdel Salam. 3- We all know that Muhammad Ali Pacha sent Egyptian men to study in Paris several branches of knowledge in his project to modernize Egypt. France had its school of Enlightenment in Egypt in Al-Alsun School (Faculté de Langues) founded by Tahtawi. French culture remained for a long time in Egypt despite the British occupation of Egypt. When France occupied Tunisia, Morocco, and Algeria, among other African countries, it spread its francophone liberal type of Enlightenment. This francophone culture has been against French occupation itself, because it has remained faithful to the famous three tenets of the French Revolution. The same contrast occurred during Napoleon's Expedition in Egypt; only the cultural influence remains until now, not the military damage. Political and patriotic awareness of Egyptians has been raised due to the impact of the francophone culture. France is a special nation/country; it exerts due care to spread its tongue, civilization, culture, and knowledge to all nations it has occupied. That is why francophone culture is still alive in such nations after gaining their independence. 4- In contrast, countries that were occupied by GB, France, and Italy gained independence only to fall prey to military tyrannical rule as in the 1952 coup in Egypt, and similar cases in Sudan, Syria, Iraq, Libya, Tunisia, Algeria, and Morocco. Such tyranny has helped creating a most horrid alternative: Wahabi terrorism that claim falsely to represent Islam. Both Wahabis and tyrants have cooperated in all evildoing. Ruin and destruction are rampant now in the Middle East as a result. 5- During such tyranny, millions Middle Eastern people have immigrated to the West countries to flee former colonies (i.e., Egypt, Sudan, Syria, Iraq, Libya, Tunisia, Algeria, and Morocco). Arab immigrant groups have been formed there. We know that the biggest of them all are the groups of immigrants in France from Morocco, Tunisia, and Algeria, due to the francophone culture and its influence. Nowadays, the Mediterranean carries thousands of Syrian refugees to Europe who have fled the conflict between a tyrant and the Wahabi terrorists. 6- Europe and the USA would have a haven for Middle Eastern immigrants if it had not been for Wahabism spread among Muhammadan immigrants in the West, who claim to be 'Muslims'. Frustrated furious youth among those immigrants in the West throw themselves into Wahabi terrorism. They commit now and then acts of terror in Europe and the USA. 7- Both the USA and Europe are to blame for terror partially, bearing the biggest part of the blame; this is because of their foreign policies and their alliances with Middle Eastern tyrants against their nations as well as their alliance with the KA royal family of terrorists who have been allowed by the West countries to spread Wahabism (falsely under the name of Islam) in the West in return for oil. The West countries are to blame as they have made use of conflicts in Arab countries as an opportunity to sell arms and weapons. Hundreds of thousands victims in the Middle East and the West pay the price now for that grave error. West countries' policies are the catalyst that helped create ISIS terrorists. The West, especially the USA, left ISIS to grow and spread so as to help in redrawing a new map in the Middle East, heralded and hailed years ago by Condoleezza Rice in the USA. George Bush Jr. made the Americans and the policies-makers in particular ignore Michael Moore's warnings in his great movie "Fahrenheit 911". This filmmaker mentions the weak ones in the Middle East and in the USA itself. Impoverished Americans were sent to Iraq to kill impoverished Iraqis. In moving scenes, the movie shows poverty in both Iraqi and American families, in contrast to huge American multinational companies of monopoly and hegemony that make alliances with American decision-makers on all levels. Obama got the USA out of the Iraqi quagmire and the Afghani quagmire, but he left Iraq a prey to corruption and chaos that helped create ISIS terrorists. Obama ignored ISIS and left it to spread and grow stronger, with benefits gained by Turkey and Iran. 8- The West countries (the USA and Europe) pay now the price of their folly. ISIS terror is more dangerous that Al-Qaeda. ISIS terrorists are well trained in IT, internet, and media wars in how to recruit more terrorists. ISIS terrorist have changed their tactics after the Russian intervention in Syria; instead of recruiting more terrorists from Europe, the USA, Chechnya, and Middle Asia to fight in Iraq and Syria, ISIS terrorists now has moved the battle inside the West itself. Obama claims that ISIS terrorists are contained now. He alluded that they will be defeated soon. ISIS terrorists responded to him by terrorist attacks in Paris, with more than a hundred victims. Panic attacks have struck the Americans now. Statements increase in the media to allay fears, in vain. No one can assert that Europe, Russia, and the USA are not to be attacked with such terrorist heinous crimes. ISIS terrorists do not rely on recruiting groups as the case with the terrorist MB group, Al-Qaeda, and terrorist Salafis/Wahabis. ISIS terrorists infiltrate hearts of unknown frustrated furious youth, and then recruit them to perform terrorist attacks anywhere. Each of these youths is a ''lone wolf'', as they are called by American media and security agents. This means an unknown youth who perform a terrorist attack by himself. ISIS terrorists in Paris are unknown. Terrorists of the Paris attacks did their heinous crime in six different places simultaneously, killing indiscriminately tens of victims, and held hostages as well. Details of such crimes are still vague when we have written this article. 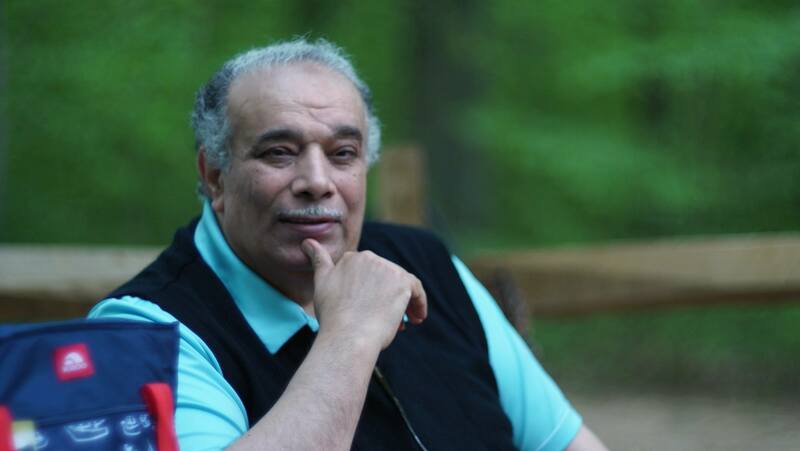 9- We, Dr. Ahmed Subhy Mansour, have said repeatedly that no solution is possible apart from reform of the Middle East: it has become a quagmire that spread terrorism epidemic to the West. Another reform is seriously needed ASAP in the foreign policies of all West countries that ought to stop helping oriental tyrants in the Middle East. The West should arrest all such tyrants based on Human Rights Watch reports of torture and crimes against humanity. Such crimes are committed by tyrants because impunity is guaranteed on the part of their West masters who are satisfied with them. Hence, the West countries are partners of the tyrants in the Middle East in their crimes by remaining silent or by treating them as Emirs, kings, and presidents, despite the fact that such tyrants are criminals who kill their nations. 10- West countries should take measures of reform regarding containing, embracing, and helping their immigrant youth coming from Middle Eastern origins instead of leaving them to the quagmire of unemployment, crime, and ISIS recruitment, and even all terrorists' recruitment of any kind that will certainly emerge after ISIS is vanished and vanquished. 11- We say that when ISIS is defeated, other similar and more dangerous terrorist groups will certainly emerge and increase exponentially. That is because terror is based on the Wahabi religion, not linked to Islam and not to be confused with it, that trains and teaches all generations of terrorists in all mosques, educational institutions, and media all over the world in the West, the Middle East, and Far East. Hundreds of thousands of terrorists will emerge in the next years unless the solution is put to action: we have repeated it over and over: the West countries are to adopt a peaceful, cultural, and intellectual war against Wahabism within real Islam (i.e., Quranism) that will [rove that Wahabism is against Islam, and not related to it at all. This is what Quranists do on their website and suffer for it. No one cares about us, Quranists, and no one cares about what we, Dr. Ahmed Subhy Mansour, write here to combat Wahabi terror intellectually. 9- We are afraid of having to repeat writing this article with every upcoming terrorist attacks in any parts of the West countries.